On April 28, 2014, Consumers Union submitted to the federal government comments on the 2015 Edition Electronic Health Record (EHR) Certification Criteria. Health Information Technology (Health IT) can improve health outcomes, empower patients to participate actively in their care, generate research data to improve population health, and improve the effectiveness of the American health system. It can deliver better health outcomes for individuals, better decision-making and care coordination by providers, and greater engagement of patients and families in their care. Health IT capabilities are rapidly evolving and we were pleased to see the ONC taking advantage of these advancements. Although the standards proposed for the 2015 Edition are voluntary, this was an opportunity to move Health IT in the right direction, making sure that technology is developed in a way that improves consumers’ experiences and health outcomes while protecting their privacy and data security in anticipation of the next mandatory stage of the Meaningful Use program. In our letter, we urged rulemakers to include the following requirements in their certification program. Collect the right information at the right level of detail. This includes integrating a more comprehensive listing of demographic details, such as patients’ preferred languages, recording family health information, and documenting the content and location of consumers’ advance directives. Ease the flow of information between providers and consumers. Design Health IT to ease accessibility of diagnosis and treatment information for each consumer and his or her authorized family members and caregivers. Health IT should ease the flow of information between providers and consumers in both directions. 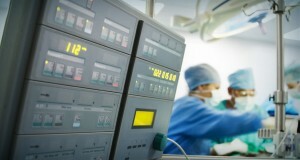 Use Health IT to improve patient safety. Consumers should have access to information about devices implanted in their bodies. Common sense demands that consumers be able to know if an implant is subject to a recall without physically inspecting the device (requiring surgery). Device manufacturers and providers also benefit by being able to track device performance and make connections between patient experiences. Similarly, clinical quality measures that include safety data, such as hospital acquired conditions (HACs), will enable providers, researchers, consumers, and advocates to identify and avoid practices linked to errors. Protect patient privacy, ensure data security. The benefits of increased collection and use of consumer health data come with an obligation for developers and regulators to protect that information. That responsibility should not obstruct Health IT advancement, however, and should instead be a necessary factor in designing any Health IT.